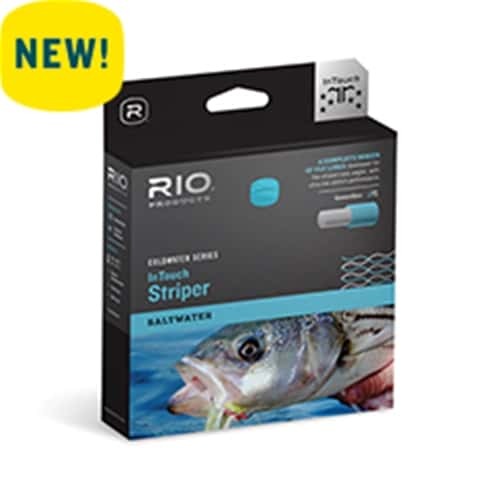 RIO’s InTouch Striper lines are built with RIO’s ultralow stretch ConnectCore Technology for the modern striper angler, with easy casting, front-loaded heads. There are three line types within this series: 1) A full floating line, 2) an intermediate sinking line with luminous running line, and 3) A series of 30 ft long sinking head lines with intermediate running lines. Each sinking line is density compensated and allows anglers to stay in touch with the fly. Welded loops on both ends of all lines make for fast rigging.